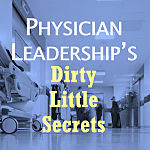 Most physician leaders don't see these connections until after they are burned out. - and you are at a much higher personal risk for burnout. That's why we created this FREE five-part video training series. Using our 2100 hours of physician coaching experience, we have discovered five facts all physician leaders must understand in order to be successful. We paired the secrets and the tools to compensate for them in five short video trainings - the longest is only 5 minutes - so you can watch a video and put your new tool to work that day. Please share this page with your physician leadership team ... especially if they would like some simple new tools to become better leaders. If you need immediate support for you and/or your people, use this form to contact us directly. Keep breathing and have a great rest of your day.